"Top of the line work. 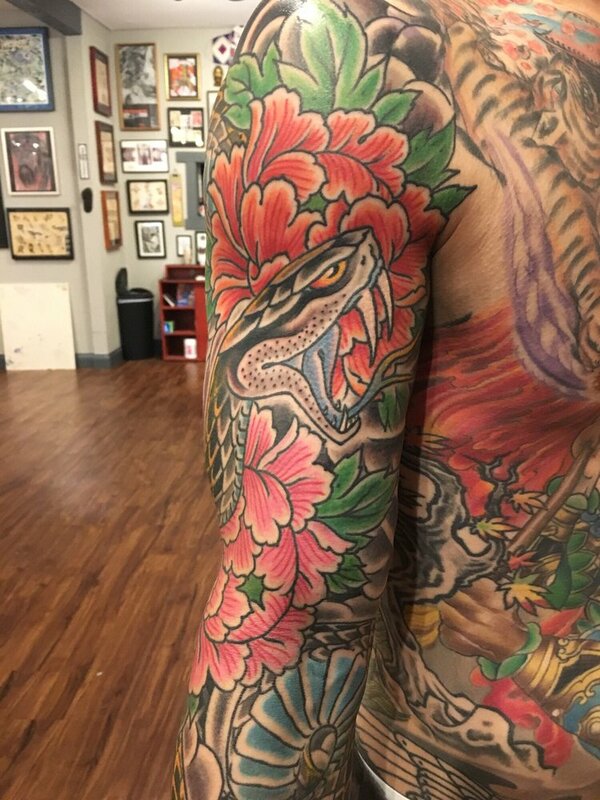 I drive from Houston to Austin round trip just to get my full sleeves from Jason Brooks. So far, we've finished the right arm and are 1/3 of the way done with the left. I dig his bold, stand-out, traditional style in both American and Japanese. Ben Siebert and James Yocum also do some crazy work. Definitely one of the best shops in the state of Texas. This is coming from someone with almost 200 hours of work (and counting)."